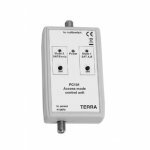 The cascadable distribution system for signals of 4 satellite-based polarizations and of terrestrial TV for floor-by-floor wiring layout or for construction of a Y-network;. 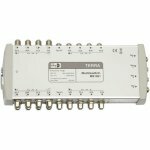 MN4ALFA is a pro active splitter of L-band signals. 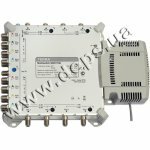 The device operates in the frequency range 950 - 2150 MHz and due to the integrated amplifier makes no attenuation during the signal splitting. 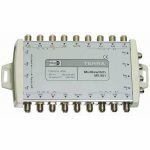 Control device PC101 allows changing an access mode of the multiswitches MSR908-MSR916, MSV908-MSV916 by changing the multiswitches response to a receiver control command (analog 14/18 V/0/22 kHz and DiSEqC 1.0/2.0). 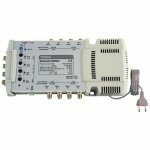 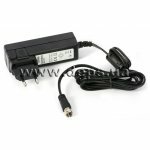 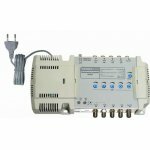 Designed for distribution networks of IF CCTV signals and terrestrial TV signals with up to 16 subscribers according to the Y-system; A built-in remote power supply; A possibility of power supply to amplifiers through an input of terrestrial TV. 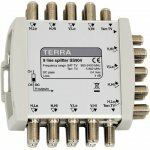 Transit of supply voltage from a receiver to trunk lines; A cascadable distribution system for signals of 4 satellite-base polarizations for floor-by-floor wiring layout or for Y-network arrangement. 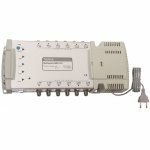 Effective use of power supplies: multiswitches do not consume current from the trunk; the subscriber’s branch is fed from a corresponding receiver. 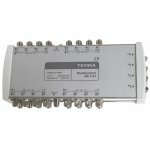 For ease of level equalization in the distribution network, there are provided two types of multiswitches with different tapping factors. 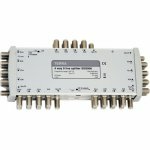 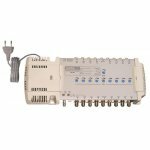 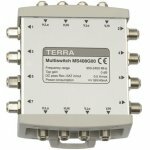 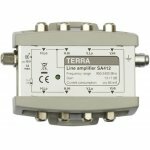 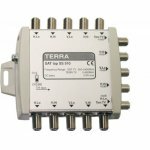 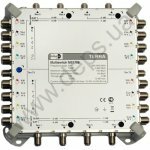 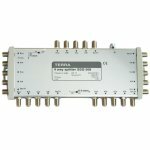 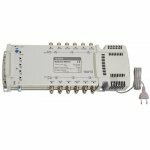 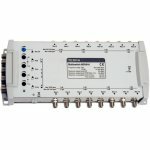 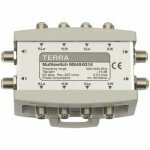 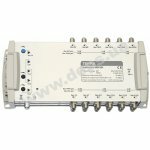 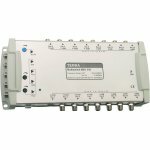 TERRA multiswitches are designed for constructing a system of community reception of satellite signal. 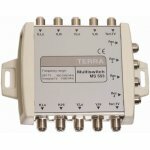 Such a system may be used in multifamily houses where it is difficult for each family to install a reception dish for various reasons: geographic orientation, neighboring high-rise buildings that hamper the reception, authorities’ prohibition as for installation of reception dishes to avoid damage to house’s appearance, etc.